Beehive Pre-School Playgroup | Come and be a busy bee! Come and be a busy bee! 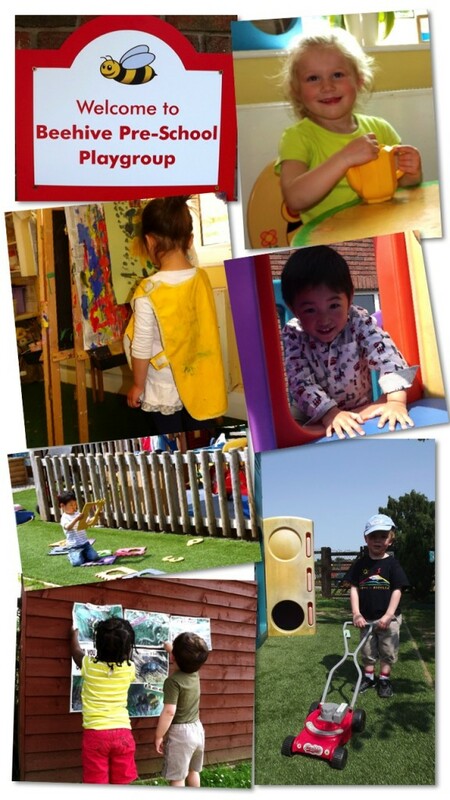 Beehive Pre-School is a long established, friendly and caring playgroup serving service families and the local community of Fulford and beyond. We aim to provide a happy, stimulating and secure environment for all children, where individual abilities are recognised and children learn through first-hand experiences. We believe in adapting our practise to meet the individual needs of each child, because every child deserves the best possible start in life with support to fulfil their potential. We are a registered charity and we are run by a management committee. We are equipped with facilities and experienced in supporting children with additional needs, with strong links to professionals. We are an ECAT (Every Child A Talker) setting, with two trained Practitioners specialising in promoting children’s language development. We aim to create an appropriate, supportive and stimulating environment in which children can enjoy experimenting with and learning language. We run a library on a daily basis, from which children can borrow books to take home. If you would like to put your child on our waiting list, it will be necessary to complete a registration form. When a place becomes available, you will be informed by telephone and letter, confirming the place and with details of times, settling in procedures, clothes to wear, what to bring, etc. If you would like any further information please visit us or contact us and we will be happy to help. We are experienced, caring, enthusiastic and well qualified staff and look forward to welcoming you to Beehive!